Gas Fireplace Problem? Here are Some Simple Fixes! Gas Fireplace Problem? Here Are Some Simple Fixes That Can Help! 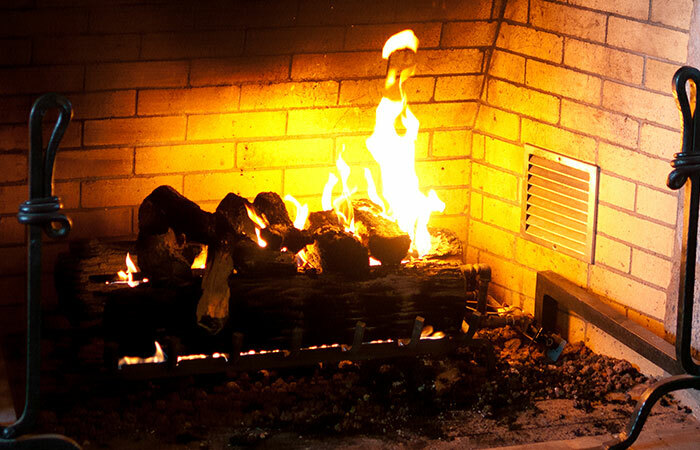 Do you have a gas fireplace, and you can’t seem to get it going, or working correctly? If your fireplace does not turn on at all, it could be that the pilot light has been blown out or not in working order. In order to find out, simply open the vent and you will be able to determine whether or not the small flame is out. If it is, simply re-light the pilot with a match or a lighter and test to see if the fireplace turns back on. If you are finding that the main burner is being a bit sluggish or is simply not coming on at all, then you may have some dirty or perhaps loose wiring. You may also want to check the generator to find out how much energy it is providing for the fireplace. This way, you can check to see if the voltage is not adequate for the main burner and adjust as necessary. You will also want to check that the gas valve (usually a red lever) is set to “open” Usually, the open position will have that red lever/handle running in the same direction as the metal gas line is running. If it looks like it is positioned across the gas line, then simple turn it to run the same direction as the gas line. This could simply be because your thermocouple is not screwed in tight enough within the the fireplace valve. Take a look at the gas control valve and check to make sure that the thermocouple is sturdy. While you are there, ensure that all of the wiring and tubing are correctly placed and functional. You’d be surprised to know that your issue could be as simple as a wire that is not connecting, or a lever or switch not turned on.